COOL DESIGN - Awesome unique character designs that will look great on any Fortnite fan. 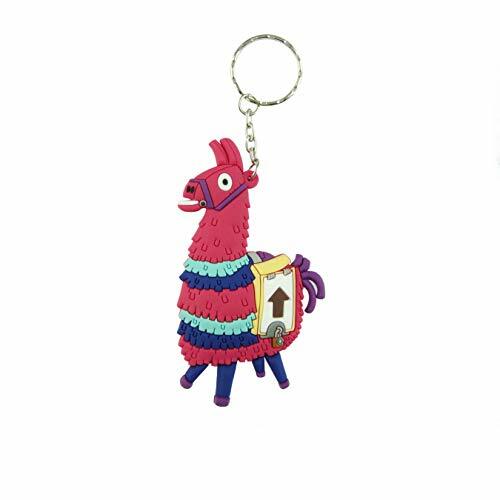 You will be amazed at how detailed the keychains are once you have one in your hands. Your friends will be extremely jealous once they see you reppin one of these bad boys. DOUBLE SIDED - The keychains are 3D and the design is on both sides! PERFECT SIZE - 3.75 inches long and 0.375 inches thick. HIGH QUALITY - Made with soft PVC plastic and a metal key ring. GREAT GIFT ITEM - Perfect accessory for keys, bags, and back packs etc. It will make an amazing Christmas gift or stocking stuffer.